The Plastics Industry Association (PLASTICS) is active in monitoring and developing codes and standards for the plastics industry. We regularly review the publications of codes and standards organizations to identify activities of interest to the plastics industry and we are an ANSI-accredited developer of plastics machinery standards. We alert members to codes and standards-based issues to ensure that our members have a voice and are properly engaged in the process. PLASTICS works through the American National Standards Institute (ANSI) to participate in standards development at the international level through the International Organization for Standardization (ISO). For an industry that touches every corner of the globe, involvement at the international level is paramount to ensure a level playing field for manufacturers and the safety of manufacturing workers all around the world. Working Group 1, Safety of injection molding machines. The committee is expecting a Final Draft International Standard (FDIS) to be issued for a vote. Working Group 2, Extruders. The committee is also beginning work on a standard regarding safety of extruders. The US will be a co-leader with China in this effort. Working Group 3, Clamping Systems. The working group is currently drafting a standard regarding the safety of magnetic clamping systems. PLASTICS continues monitoring the work of other standards-setting bodies and active organizations that might be plastics-adjacent or indirectly impact our industry. The VDMA, which, in German, stands for the Mechanical Engineering Industry Association, is just one example of an international market actor that has the ability to impact plastics manufacturers here in the U.S. through its standards-development efforts. The same goes for the International Electrotechnical Commission (IEC) which publishes international standards governing all electrical, electronic and related technologies. As these efforts occur at home and abroad, PLASTICS monitors its progress and determines the need for engagement to ensure companies here in the U.S. aren’t voiceless when it comes to the development process. PLASTICS isn’t the only organization accredited by ANSI or developing standards that impact our industry. PLASTICS has been involved with a number of these to make sure the plastics industry can have a say in the development of standards that might, at first glance, appear tangential to its operations. For example, the National Fire Protection Association (NFPA) issues standards and codes that can be adopted by local authorities and applied to the use and storage of materials and products that are relevant to the plastics industry. NFPA 400 (the Hazardous Materials Code), NFPA 652 (the Standard on the Fundamentals of Combustible Dust) and NFPA 654 (the Standard for the Prevention of Fire and Dust Explosions) all have the potential to impact plastics materials suppliers and processors. PLASTICS maintains a working relationship with NFPA and will continue to work with the group and other standards-setting bodies like ASTM International, the B11 Standards Committee and Underwriters Laboratories (UL) to ensure, once more, that the plastics industry has a seat at the table. PLASTICS’ scope on file with ANSI is to develop standards and technical reports covering the manufacture, integration, care and use of plastics machinery or materials throughout the supply chain. That’s fairly broad, but so is the plastics industry—there are a number of standards and technical reports that emerge from other non-machinery safety standard segments that have the potential to impact companies in the plastics industry. For example, there are standards governing the safe storage of organic peroxides, which are important catalysts used by plastics material suppliers to develop polymers. Working in concert with its Organic Peroxide Producers Safety Division (OPPSD), PLASTICS is uniquely suited to facilitate the provision of industry input on subjects like this, and several other topics that other ANSI standards-setting bodies might address. 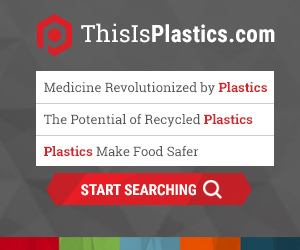 PLASTICS also has the ability to develop and publish guidelines and technical reports on issues for which a standard may not be necessary. For instance, AQ-102, Standards and Practices of Plastics Molders provides molding tolerances for plastic materials as well as recommendations for successful design of plastic molded parts. AN-146, Recommended Guideline for Robot/IMM Electrical Interface provides information on the electrical interface and harmonizes recommendations with the European guidelines (Euromap 63). All of the PLASTICS Standards, Guidelines and Technical Reports are available on our web store.